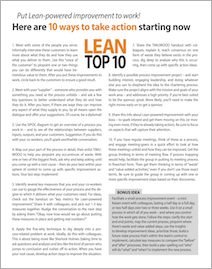 Lean Launch is for organizations that want to get serious about process improvement. 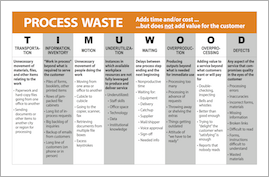 We bring Lean know-how and facilitation expertise, using all of it to help your organization achieve real results right away. 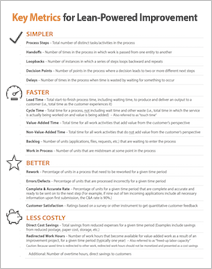 Key processes are made simpler, faster, better, and less costly. And key people are trained as we go, giving your organization its own internal group of skilled improvement practitioners. We start by getting clear on your aims for process improvement, then we work with you to identify and scope several high-potential improvement projects. At your location, we lead-facilitate two process improvement projects and coach-facilitate a third. This gives you precedent-setting success that benefits customers, staff, and the bottom line. The coaching ensures hands-on learning and skill-building. As our work together unfolds, we train an internal group in all key aspects of Lean-powered improvement. This is capacity-building at its best, ensuring that your organization has its own in-house expertise going forward. We also team with you to clarify next steps. At handoff, you’ll have a pipeline of future projects and a plan for continued implementation and sustained improvement. 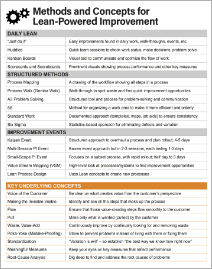 You’ll also have a full set of needed resources, because we’ll grant you a license to use all of our Lean handouts, templates, and tools. 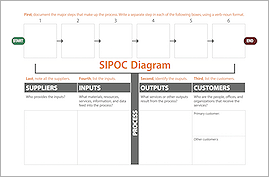 This includes major resources like our fill-save charter document for improvement projects and our step-by-step facilitation guide for process improvement events – and numerous Lean information sheets, worksheets, quick Lean learning activities, and more. Your in-house practitioners take it from there, using the tools to facilitate improvement long after we wrap up our work.